Could be you’re the hunter or angler who lives by the credo “go big or go home” … the outfitter who delivers exceptional experiences for his clients … the big-event caterer who is renowned for the quality of your service. Our largest cooler is up to your grandest expectations. Shipping multiple quartered game, King Salmon filets or servicing a multi-family picnic, the 85 says, “bring it.” Add the brilliant functionality and customizability of our exclusive YakAttack gear tracks and a range of RAM accessories — cup holders holders to GoPro® mounts — and you have an indispensable asset for everyone who works, hunts, fishes and lives large. 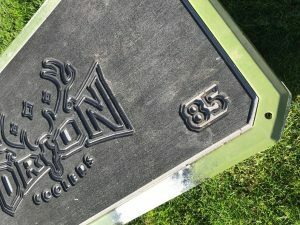 The Orion 85. 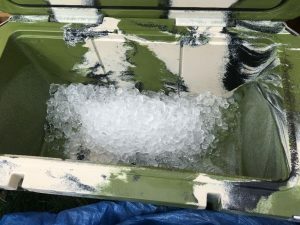 As the picture above shows this is one neat looking cooler. Looks are not everything but they certainly help draw you in. 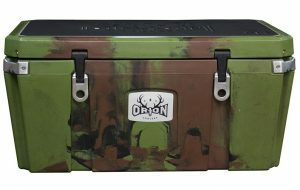 The Orion coolers have a very unique look and a wide verity of color options to choose from. Orion also has some very cool features to complement their amazing appearance. The first one is not necessarily something that is openly visible but the 2.75’’ of insulation are going to make sure that your items stay as cold as possible for as long as possible. 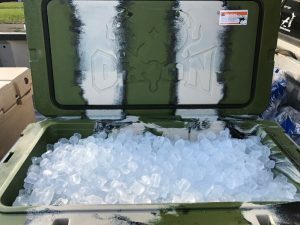 This photo from the Orion Coolers homepage shows a cross cut view of the insulation that is offered. The handles on the Orion cooler are simply outstanding. They are large and seemingly very sturdy. The rubber composite is textured providing excellent grip when under stress from holding heavy weight. 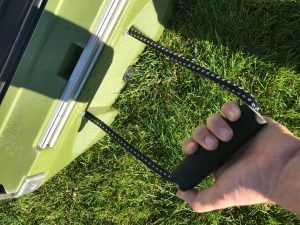 The latches are not only simple and stylish but very functional. I very much appreciate a handle that is not a pain to open. 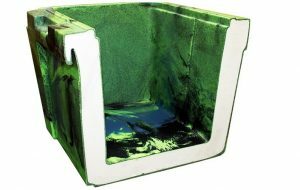 Sometimes you just want to get into a cooler without a struggle and this great design is going to allow that. The lid to the Orion 85 comes equipped with a standing pad for traction. It also doubles as a nice pad while sitting on the cooler. 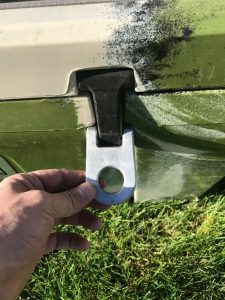 Some additional features that you might find appealing are the multipurpose corner protectors/tie downs and bottle openers. These thing will keep your cooler secure while helping to pop the top on a cold one. Another feature is the YakAttack track system that allows for the attachment of a myriad of accessories. In the next few photographs you will see the Ice retention test results. I did these in 6 day increments as that was the best way to actually show the melt. Unfortunately I had a mishap with my phone for the 12 day photos and so we have 1, 6, and 18 days. After testing and using the Orion 85 cooler I cannot find anything that I would like to change. 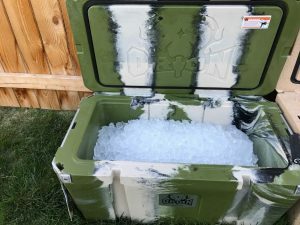 I really think this is one of the best coolers that I have ever used. It is made in the USA and had a lifetime Warrantee. The only part of this cooler that I was not overjoyed about was the basket. I am not really a fan of the plastic basket but it does its job. 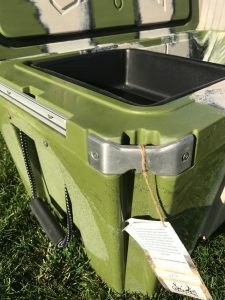 This cooler is a bit on the expensive side but when you consider that it has those great extra features, has an amazing warrantee, and it has those three little words, Made in America. This cooler has just about everything else a guy could ask for. I absolutely love it and think you will too! I give the Orion 85 a solid 5 stars.